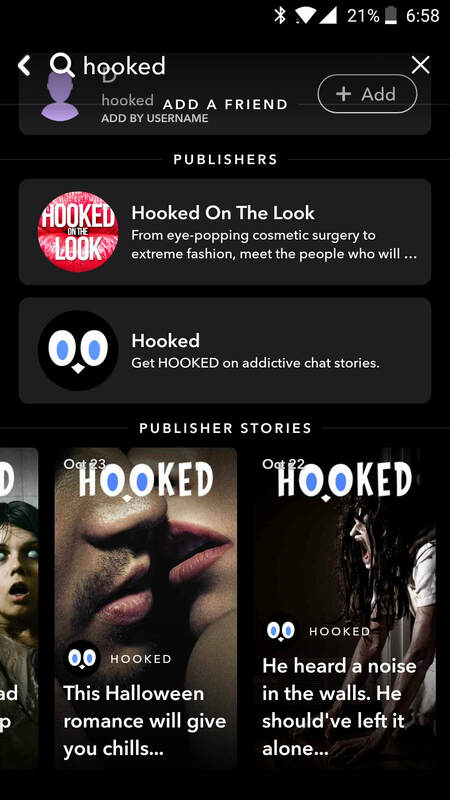 Did you know that I write text message stories for the Hooked Snapchat channel? These are short and fun and best of all - free! You can read them either on the Hooked app or on Snapchat. 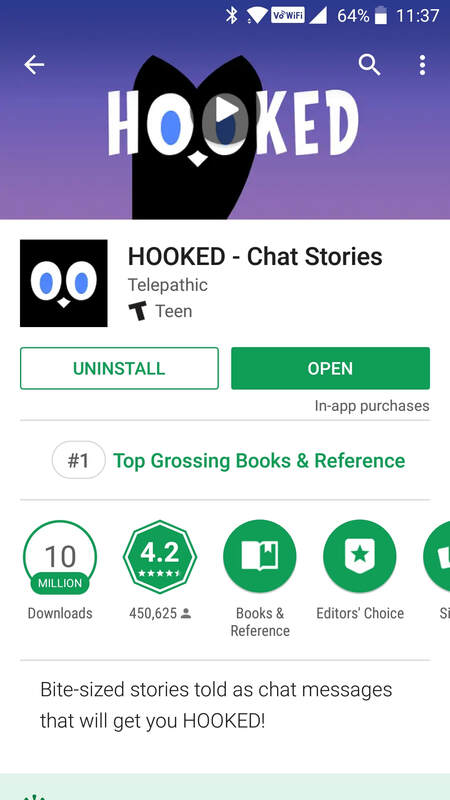 To use the Hooked app, just install it on your phone or tablet (it has an owl eyes logo - see below). Then search my name. 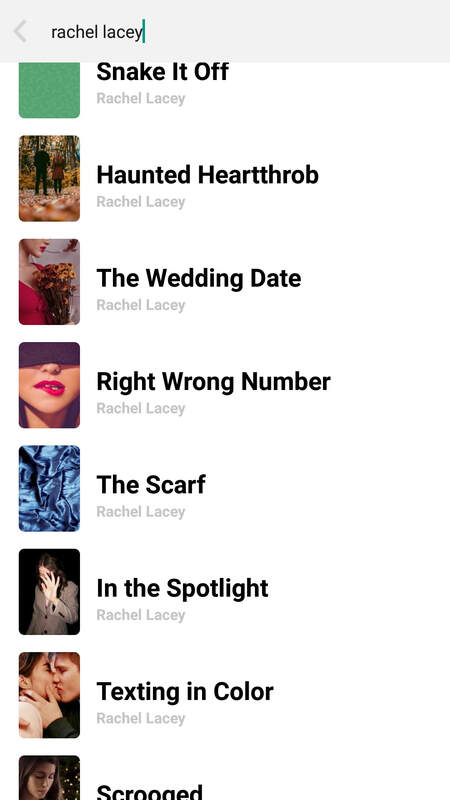 Nine stories should pop up: The Scarf, Texting in Color, Right Wrong Number, The Wedding Date, Snake It Off, In the Spotlight, Haunted Heartthrob, Scrooged, and New Year's Resolution. 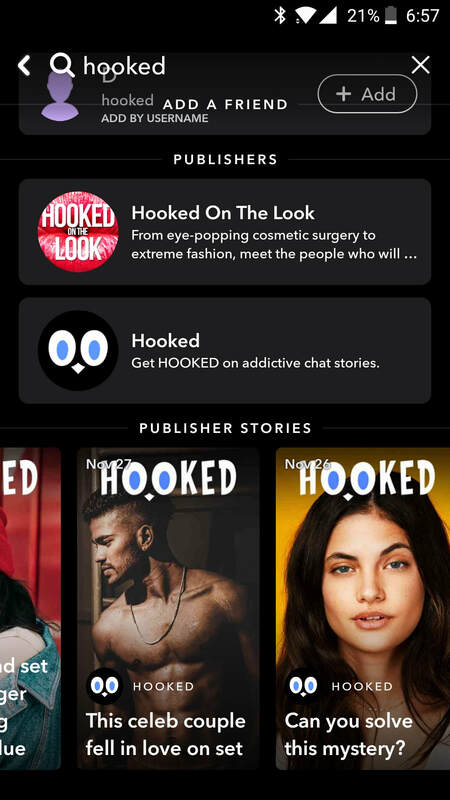 Search results for "Hooked" in the Snapchat app showing the link to my story, "In the Spotlight"
Search results for "Hooked" in the Snapchat app showing the link to my story "Haunted Heartthrob"